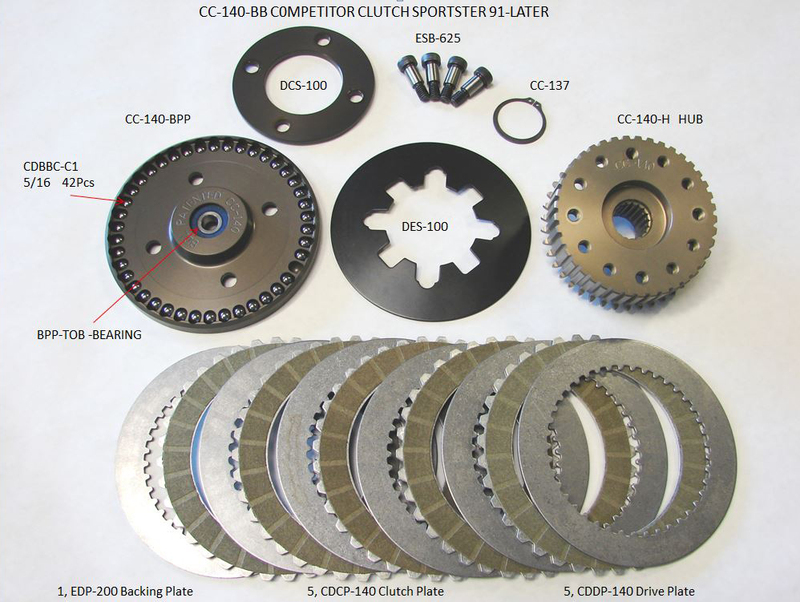 Add some balls to your stock clutch with BDL's new CC-140-BB. Fits stock Sportster clutch baskets 1991-Up. 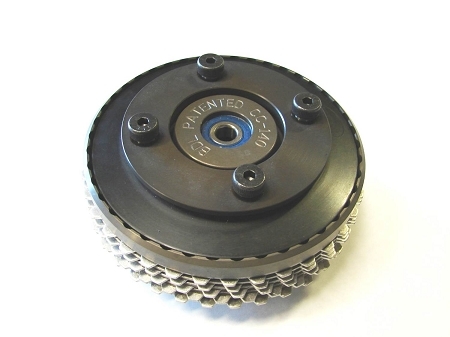 This new patented Ball Bearing Clutch pressure plate will handle all stock applications. Always on the cutting edge of HD high performance technology, Belt Drives LTD has made a living with high horsepower, big torque engines a lot easier. Just released this, “Patented” BALL BEARING LOCK UP CLUTCH design significantly lightens clutch pull at the lever while providing slip free lock up. Each unit incorporates a designated number of steel ball bearings set in a model specific diaphragm assembly. Replacing the factory pressure plate, springs and hub. This clutch will be sold only in a kit, CDCPS-140, 5 fibers, 5 steels, and the EDP-200. Copyright Belt Drives, LTD.. All Rights Reserved. eCommerce Software by 3dcart.